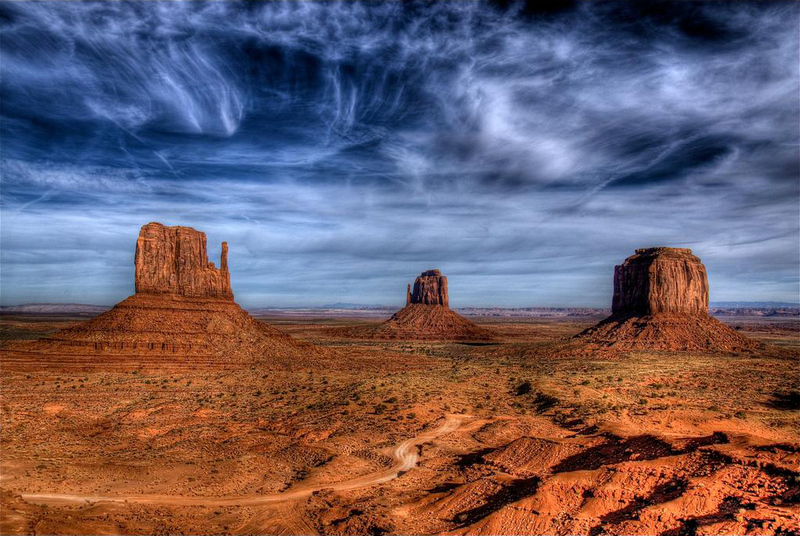 Monument Valley is a an area know for its impressively formed sandstone buttes. 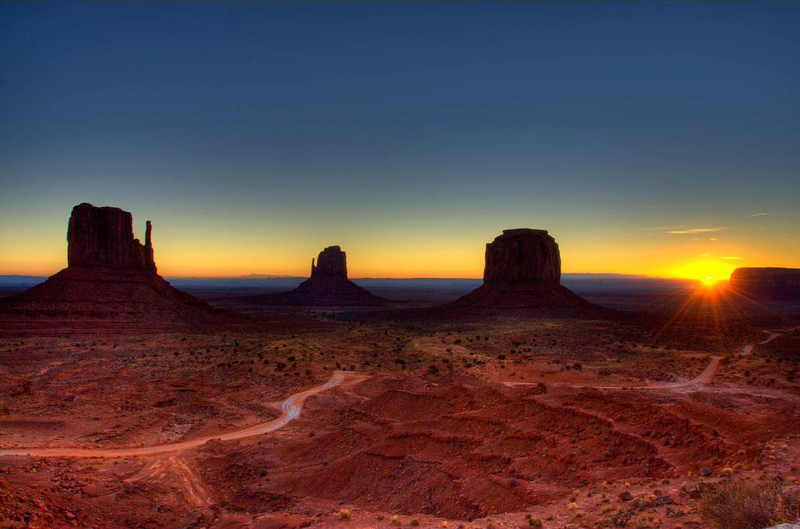 The region is part of the Colorado Plateau, located in the Navajo Nation on the border between the states of Arizona and Utah in the American Southwest. Encompassing much of the area surrounding Monument Valley Navajo Tribal Park, Monument Valley is an important part of Native American heritage. 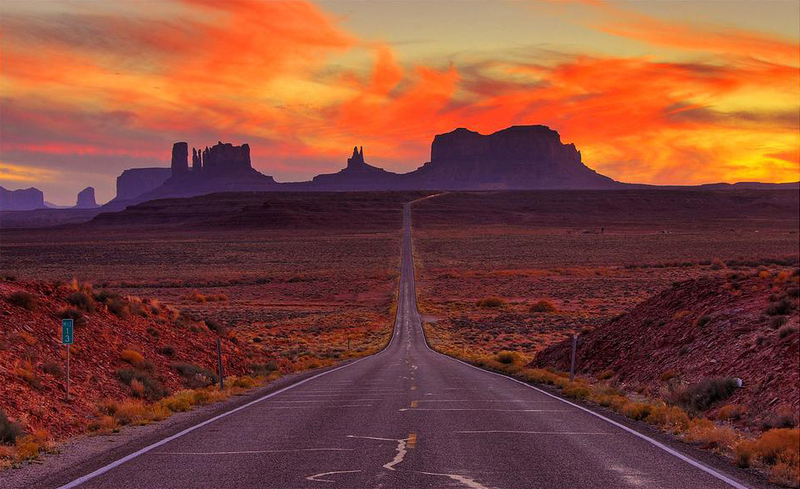 For a $5 fee, visitors to Monument Valley can take a 2-3 hour scenic drive over a 17 mile (27 km) dirt road, which is open from 6:00am-8:30pm from May to September, and 8:00am-4:30pm from October to April. Other visitors may chose to enjoy a multi-hour or overnight horseback ride to some of the more spectacular views and sites. If you’re interested in a unique view of Monument Valley you can even take a hot air balloon ride over the area. Visitors who are arriving via car can only access the park via Highway 163. 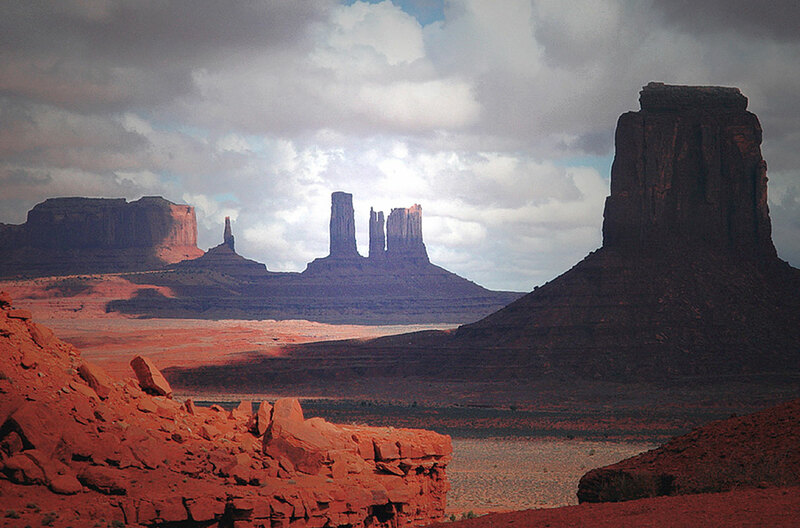 There are two hotels near Monument Valley, and the nearest town of Kayenta, Arizona, is about 20 miles (32 km) away. Monument Valley is part of a greater network of attractions called the Grand Circle which also includes Grand Canyon National Park, Mesa Verde National Park, Bryce Canyon National Park, Canyonlands National Park, Zion Canyon National Park, Capitol Reef National Park, and Arches National Park.